Michael*, a teenager from Witney, Oxfordshire, was talking about Campsfield House Immigration Removal Centre, a bland brick building surrounded by high fencing. Previously, Michael didn’t know it existed, never mind that it housed up to 276 men at a time, from all corners of the globe and all walks of life, fleeing myriad predicaments and seeking solace in the UK. Like most people, he hadn’t developed deep thoughts about immigration detainees or the complexities of their circumstances. Things ch anged for Michael when he took part in an innovative community exchange organised by Music In Detention, the charity I lead. 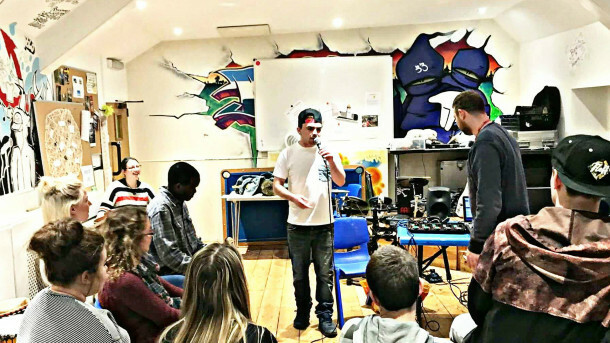 Recruited by local charity OYAP Trust, Michael and 20 other disadvantaged young people were supported by two expert musicians to co-create musical tracks with detainees – without actually meeting them. Week by week, the musicians travelled between Witney and Campsfield House. With their help, the two groups exchanged messages, shared lyrics, developed music, shared their stories. They absorbed details about each other’s lives, their views of the world. They inspired each other, their music blithely vaulting those high fences to create strong, heart-felt connections. Aside from the intensity of the final recordings – powerful tools to communicate the reality of immigration to wider audiences – this interaction had profound and tangible effects on both detainees and young people, results shared through live performance, press coverage and a forthcoming online video. 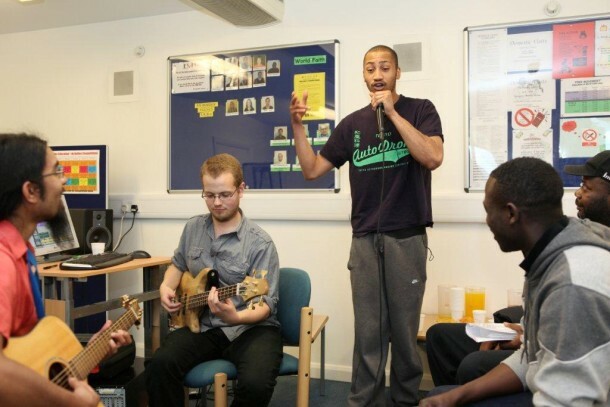 Music In Detention songwriting workshop at Harmondsworth IRC, 13 May 2010. Copyright Paul Hamlyn Foundation and John Carey. “I just want to say thank you very much for thinking about us in detention. We really appreciate that… It gives us strength… Some of us are running away from conflicts and war zones, so it’s nice to know that people of this country think well of us… God bless you all”. There’s perhaps no stronger testimony to the power of our work to create the bonds so essential to successful integration.